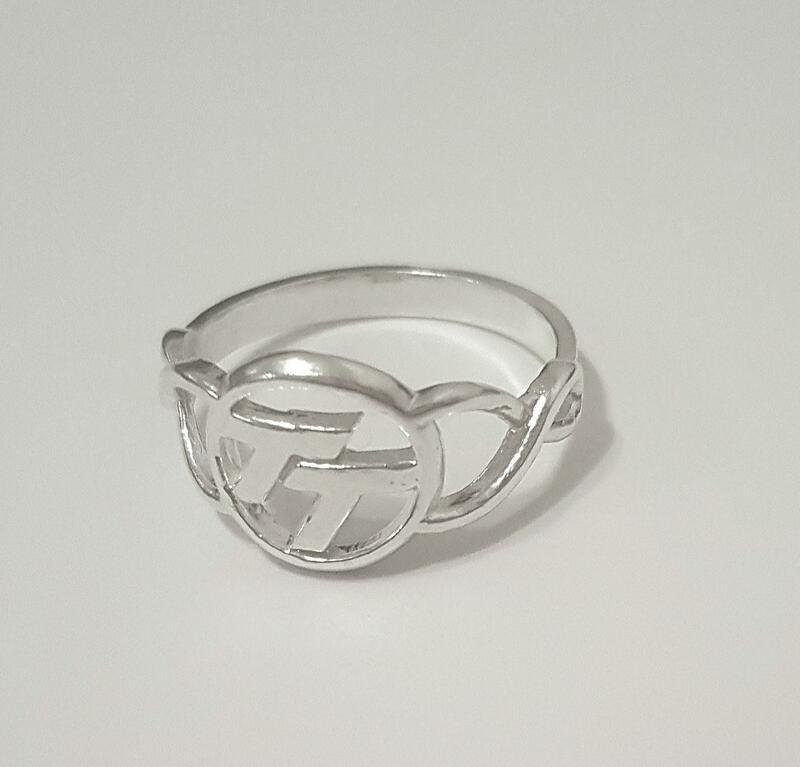 Ladies sterling silver open TT logo ring. Dimensions - logo area measures 11mm high, ring band is 3mm wide. Sizes - UK sizes K-T are available. This piece is produced in collaboration with local jewellers Celtic Gold. Dispatch time will depend on stock levels but please do allow up to 3 weeks for orders to be processed.